The latest Kantar's worldwide OS market share stats show that Samsung grows in US at last, Android grows in Europe, Apple 33.6% share of US till the end of 2015. This means that Android and iOS phones are in neck and neck which you can hardly tell which one is better simply. We always want to buy the best phone at the least price, so we Google for top 10 mobile phones and tons of 2015 best phones lists popped up. But what's the best phone again? Still not clear. We rate smartphones using a combination of subjective criteria(design, ease of use), our own benchmarks(battery,audio and display tests) and synthetic benchmarks like Geekbench for speed, 3DMark for graphics and so on. 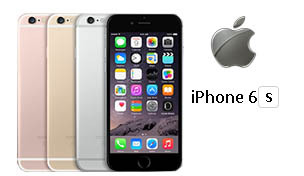 Thus we got different top 10 phones lists when laying emphasis on different factors. But here we pick the best top 10 most popular phones of all-around for a reference of your phone purchasing. Professional videos converter to convert any video formats to top 10 phones supported formats like MP4, AVI, M4V etc. or directly download videos or music to best selling phones like Samsung Galaxy S6/S6 Edge, iPhone 6s/6s plus, HTC One M9, LG G4 etc. 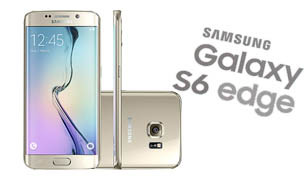 Samsung Galaxy S6 is so close to being 2015 best phone with the world's best dual curved display, industry leading power, decent battery, excellent camera and amazing performance. All these make it not only the best-looking smartphone, but one of the top 10 mobile phones 2015 in the universe. 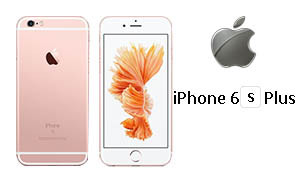 Apple iPhone 6s is the main featured product right now and it boasts the same 4.7 inches screen of iPhone 6. It contains many small changes, new 3D Touch screen technology, 4K camera recording, A9 processor etc., supporting it to be one of the best phones 2015.
iPhone 6s plus is rated at #3 probably owning to the best-looking phablet around even if iPhone 6s plus vs iPhone 6s. It might be too big to hold, but the big size iPhone 6s plus is absolutely the winner for Highlighting the distinguished status. But it's super expensive among the top 10 phones list. 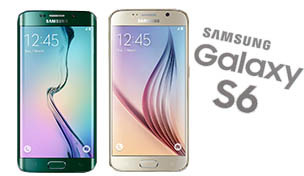 If Samsung Galaxy S6 vs HTC One M9 vs Sony Xperis Z5, S6 wins the title of "best smartphone 2015" absolutely. The upscale Samsung Galaxy S6's smooth glass-and-matte-metal body, improved fingerprint reader, and convenient new camera shortcut key make the phone a stunner. LG has tried to focus on what everyone actually wants out of a smartphone, a great looking design, color rich display and the great camera for photos - but it doesn't quite deliver as impressively as we'd hoped. 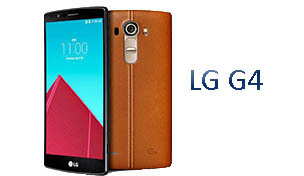 Nevertheless, the excellent screen and the latest version of Android of LG G4 definitely make it the best top tared smartphone 2015. • Built-in 320 video codecs and 50+ audio codecs. • Online video downloader, recorder and editor. • Support 4K UHD video download/convert. • 100% lifetime free and clean. No virus. 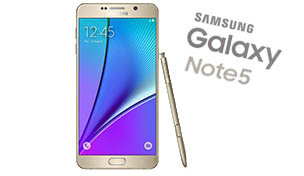 The Samsung Galaxy Note 5 requires two hands and a pile of cash, but it's the best Android phone with a large screen, a stylus and an accurate camera. Just don't look for it to have a microSD card, removable battery – or availability outside the US. 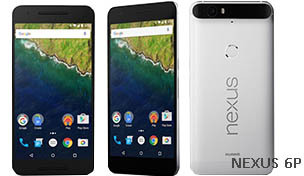 Nexus 6P, the best Android phone 2015, is made by Huawei and launched alongside the Nexus 5X, having a full metal body, no less excellent design of Samsung Galaxy S6. There's plenty of power in this 5.5-inch device and a display that's full of detail and pop, great camera and latest Android 6.0 Marshmallow. Nexus is no longer just about affordability, now it's about desirability too. 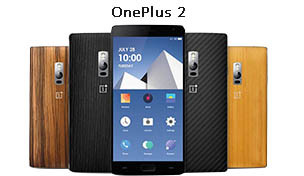 OnePlus 2 is brilliant one in top 10 mobile phones 2015, offering a great price for top end specs. Its clever overlay still impresses and the little tweaks (such as audio improvement) work quite nicely. We still glad to see some upgrades on the screen front, or NFC for mobile payments. 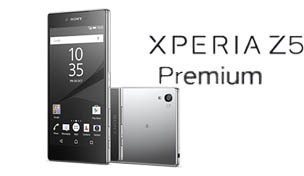 Sony Xperia Z5 Premiun has a huge 5.5-inch screen with a huge 806 pixels-per-inch as well so is perfect for any phablet lovers out there. With new tech of fingerprint sensor and 23MP camera, it's well preferred for technology enthusiasts even if the battery is not so perfect. 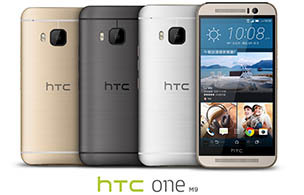 HTC One M9 sneaks to top phones 2015 by virtue of upgrading from two years ago. It's again shown the rest of the competition how to make a premium smartphone, and its camera and performance is right up there too. Though not enough changes, it's still worthy of a perfect score. Well, I bet you have a rough decision of buying a new phone. Surely we considered the unique features of the best phones 2015, but do not forget the common issues whether it's compatible to common audio video formats like MP4, MOV, MKV, AVI, MP3, AAC, 4K UHD, 1080P, 720P HD etc. It's inevitable that you may give up something can be improved or less important when coming across the critical points. So if you go after for other salient features of your phone, you are still be able to play music/videos in any formats with the help of MacX Video Converter Pro, which could help you convert DVDs, HD or SD videos or movies to MP4 or directly iPhone 6s/6s plus, Samsung Galaxy S6/S6 Edge, LG G4 etc. 1.Import the video by clicking "Add Files". 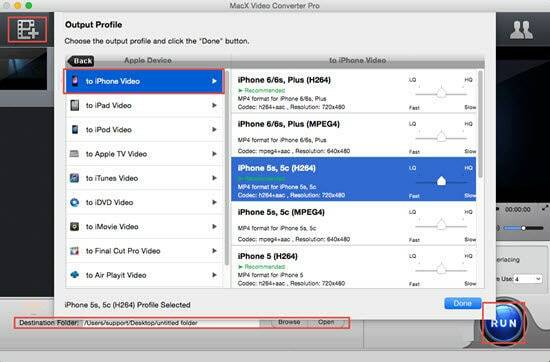 2.Choose Output format like MP4, or directly your phone. 3.Click "Browse" button to specify the output folder path. 4.Hit "RUN" button to start converting.